After the first month since the launch of the New Gas Network Code in Romania, the gas market is facing the impossibility to implement it, in conditions in which winter did not come yet, season when consumption and especially consumption variations are expected to inflate the values of certain unreal services and penalties that network users will have to pay. Given the “legality” until 2021 of the transfer of such unreal services and penalties to the pockets of household consumers, this scandal will probably not burst and, as in the past years, will smolder in unnecessary meetings, without any conclusion, in the offices of the National Regulatory Authority for Energy. What I am sure of is that many of those who over the past few years have quietly accepted the penalties applied by TRANSGAZ (some, in my opinion, charged illegally), will refuse to pay any invoice sent by TRANSGAZ and will go to court. I foresee a large number of court actions against TRANSGAZ in the near future, which will block the activity already above the normal possibilities (in my opinion) that this company essential for the energy security of Romania is currently carrying out. Playing the Network Code game, tolerated for too long by gas market participants, probably because these costs were transferred to end-consumers, but also because it was a perfidious means for suppliers to supplement their trade margin, is based on a legislation born from the ignorance and incompetence of those who have drafted it. I believe that this “bouncing” in the gas market can only be stopped through the expression of opinion of market participants and the only measure available (taking into account the behavior of those who have the duty to make it operational) is suing the culprits. In this regard, I recommend all those faced again with higher or smaller penalties to no longer let it slide, as they did in the past years, and take action. 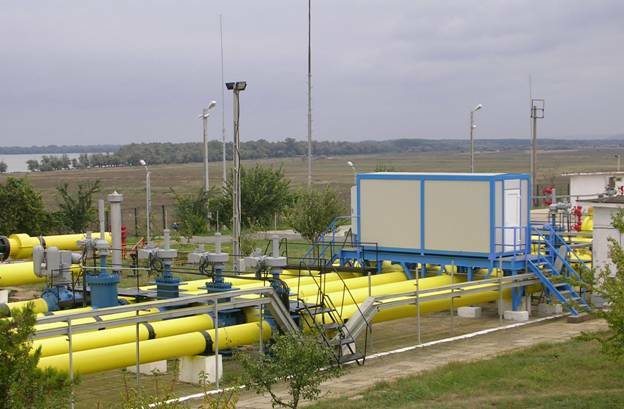 Users of the transmission network have to overcome their fear towards TRANSGAZ, which uses methods not exactly in accordance with the principles of a free market, threatening, based on an article in the Transmission Services Agreement, to interrupt the gas transmission service if they do not pay the invoices issued even without legal ground, throwing expressions such as “considering how long the lawsuits take in Romania, you will probably win in court, but you will have been in bankruptcy for a long time.” I stated when the New Network Code was published, two months ago, that although it took over a number of correct principles exposed in the market, including by me, in the 9 years of failure of Network Code implementation, the New Network Code couldn’t be implemented (in the sense of ensuring correctness and legality), due to failure to consider the realities and the refusal to understand the functionalities of activities in the gas sector in Romania. I started an action to highlight the dysfunctionalities of the New Network Code, reaching today one of the main elements that makes the Code inoperative: the ALLOCATION of quantities transported. While allocation at the entry points was improved by introducing the notion of OBA (operational balancing account – allocation equals nomination and the differences between them are adjusted in a virtual account) and especially by the fact that the owner of gas is the one that makes this allocation, at the level of exit points the allocation is a mess. I have raised the issue of allocation of quantities measured in the various materials published, but I continue to notice that the essential, but also legal element of allocation is not understood. Even if I presented in the past the items of legality off allocation, I believe it’s time to present directly and explicitly the rights and limits in the allocation of gas quantities in activities related to the gas industry. Quantities transported through the gas transmission network are property of Network Users/suppliers; for this purpose, if we read Art. 1678 of the Civil Code: “When the sale aims at generic goods (res genera), including goods of a limited type, the ownership shall be transferred to the buyer on the date of their individualization by handing over, weighing, measuring, or as otherwise agreed or imposed by the nature of the good”, we can notice that TRANSGAZ is only allowed to make allocations in the situation of consumers directly connected to the NTS. The moment when res genera – natural gas – is individualized is the moment when it is transferred to the buyer and it is done by measurement or by consumption profiles (if such a modality of individualization is provided for in the contract between the gas supplier and the gas consumer). At the interface between the transmission system and the distribution system no transfer of ownership is performed, but only a transfer of quantities belonging to Network Users/Suppliers, from a system to the other, ownership of gas and the owners of gas remaining the same. Thus, I believe that TRANSGAZ has the legal right to measure only the gas quantities transferred to Distribution Operators, without being entitled to make allocations of gas quantities to network users, the exception being the situation of consumers directly connected to the NTS. In fact, the New Network Code, which changed the paradigm of transmission between an entry point and an exit point and introduced the notion of VTP, should have introduced also the OBA on exit points from the NTS, while drawing up the Distribution Network Code, so as to ensure compliance with art. 1678 of the Civil Code, and especially with the functionality features of the gas market. Option B: Elimination of the quantity component from the principle of transmission and distribution services, exclusively focusing on the capacity component, while developing the balancing contracts. quantities allocated and invoiced by TRANSGAZ to network users higher than the quantities measured at consumers to which they sold gas. quantities allocated and invoiced by TRANSGAZ to network users higher than the quantities purchased and sold by them. I wish to point out that these situations took place in a month with temperatures way above the normal limit, a month that cannot be considered a reference. In the future months we will see the real added value (negative in my opinion) of this New Network Code. Unfortunately, all this will be settled by consumers. In April 2019 at the latest we will witness a new significant wave of price increases, I dare to say unprecedented in Romania, to which the negative settlement of the New Network Code will contribute.